Decorating brownies or cookies? Browse an amazing selection at best prices. Check it out here. 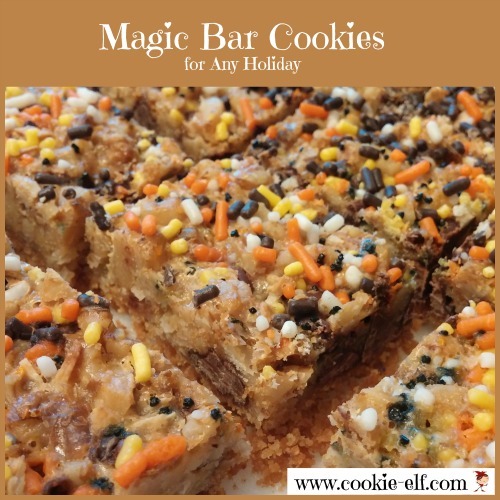 Halloween Magic Bar Cookies are an easy bar cookie recipe that has been around more than half a century. 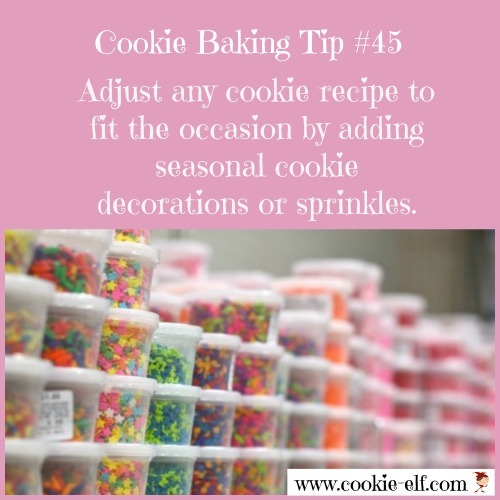 You can adjust this simple recipe for any season or occasion with just one little tweak: add cookie decorations. For instance, if you’re looking for Halloween cookie ideas, you can make these Magic Bars. Before baking, sprinkle the top surface with orange and brown sprinkles … yellow and orange colored sugar … Halloween cookie decos … you get the idea. It’s an easy way to dress up these long-time favorite bars. You know the recipe works. Now it works during different seasons, too. Get the full Halloween Magic Bar Cookies Recipe … and check out our Easy Bar Cookies Pinterest board for more cookie inspiration.